During the homily, Monsignor Romero referenced paragraphs 89 thru 93 in the Compendium. This is in "The Profession of Faith", Section II, "The Profession of Christian Faith", Chapter 2, "I believe in Jesus Christ, the only son of God". The current week's homily is available on a link on the front page of the website next to the link for the current week's bulletin. On the page with the prior bulletins, the corresponding homily will be sitting side by side with its bulletin. We started on the anniversary of the start of the Catholic Church, Pentecost Sunday. This week, The Fourth Sunday in Ordinary Time, is our forty third podcast to be posted. This week, the homily is given by Monsignor J. Robert Romero. So, take a listen and let us know what you think. Click here to download The Fourth Sunday in Ordinary Time homily from St. Landry Catholic Church, Opelousas, Louisiana. In his home town of Nazareth, Jesus read a passage from Isaiah that prophesied the coming of the Messiah. He closed the scroll and claimed it had been fulfilled in their hearing. They “all spoke highly of him and were amazed at the gracious words that came from his mouth”. But they instinctively realized that if Jesus, the son of Mary and Joseph, the carpenter, was truly the Messiah, he was destined to do great things. And, if he did great things, he might challenge them to do great things. He had grown up among them and was like them. They became fearful and agitated and tried to throw him off a high cliff at the top of the craggy hill where Nazareth is located. From our youth we have learned about Jesus through the revealed Word of God. We have come to know him as the Messiah who did great things and who saved us by his death and resurrection. We know he expects us to be all that God created us to be. How do we respond? Do we try to throw Jesus over a high cliff? Or do we try to imitate Jesus and do great things? The word of the Lord comes to Jeremiah. "I will sing of your salvation." The people rise up to drive Jesus out of their town. Jesus' words and love are for everyone! As the sacred word of God is proclaimed this day, let us be attentive to its power to transform us into people filled with the wonder of God's love. What ways do you show God's love to someone who is lonely or hurting? The bulletin for the weekend of January 31, 2010 has been posted. Click here to see it. A great assortment of cuisine will be offered at the upcoming Opelousas Catholic School Tasters’ Dinner, Auction and Culinary Competition. Final plans for the evening of Wednesday, February 3rd, in the new Opelousas Civic Center are now being made. Doors will open at 6 p.m. for beverages and browsing of auction items. Serving of food will begin at 6:30 p.m. The theme for the evening is “A Royal and Majestic Evening” with a Mardi Gras flair. In its eleventh year, the event is being held to celebrate the school’s impending Annual Angel Appeal Drive. Many area chefs have accepted invitations to participate, and the event now has 26 delicious dishes for tasting. Bringing in their favorite recipes are the following: Back in Time, Blue Dog Café, The Fabulous Café Breen, Cannatella’s, Tony Chachere’s, Crawfish Corner, Crawfish Town USA, Fezzo’s Seafood, Steakhouse and Oyster Bar, Joe’s Dreyfus Store Restaurant, Jolie’s Louisiana Bistro, La Hacienda, Not Your Mama’s Café & Tavern, NuNu’s Creole Traditions, Piggly Wiggly South, Steamboat Warehouse Restaurant, Super One Foods, Tsunami Sushi, Virtual Bistro Catering, and Zea Rotisserie and Grill. These establishments will be competing in a “people’s choice” competition in one or more of six categories: salad, soup, seafood, meat, ethnic, and dessert. A variety of interesting items will be available for auction during the evening. Some of these items will be auctioned in a “live” format and include autographed Saints and LSU memorabilia, an awesome Long River Lodge package and a beautifully-crafted multi-functional cabinet along with the ever-popular “O.C. Cheerleader for a Day”. In the Silent Auction segment, there will be a Natchez dinner cruise for four, children’s Cajun Mardi Gras costumes, jewelry, home décor and garden pieces, children’s items, unique gift baskets and gift certificates. O.C. parents and grandparents will be especially drawn to the precious class projects and baskets including handmade quilts, wooden crafts, books and calendars. In addition, top bidders may leave with “prime graduation seating” or an opportunity for their child to be “principal for a day”! Upon entry with a dinner ticket, the tickets will be placed in a basket for a drawing later in the evening where there will be three chances to win one month’s free tuition for one child enrolled at Opelousas Catholic School. Tickets at $30 per person are available in the O.C. Development Office, Piggly Wiggly on Heather Drive, St. Landry Homestead Bank, and Bodemuller the Printer. The dinner ticket price also includes water and soft drinks, while a cash bar is available for other beverages. Parents, grandparents, family and friends of Catholic education are invited to attend and enjoy this special evening. This Thursday (Jan. 28th), Opelousas Catholic will hold a special Open House for family and friends to come in to see the school renovations and the new chapel. The school will be open to visitors from 10:00 a.m. to 2:00 p.m.
During the homily, Monsignor Romero referenced paragraph 82 in the Compendium. This is in "The Profession of Faith", Section II, "The Profession of Christian Faith", Chapter 2, "I believe in Jesus Christ, the only son of God". clear: “come down from heaven” (John 3:13), crucified and then risen , he is the Suffering Servant “who gives his life as a ransom for the many” (Matthew 20:28). From the name Christ comes our name of Christian. The current week's homily is available on a link on the front page of the website next to the link for the current week's bulletin. On the page with the prior bulletins, the corresponding homily will be sitting side by side with its bulletin. We started on the anniversary of the start of the Catholic Church, Pentecost Sunday. This week, The Second Sunday in Ordinary Time, is our forty second podcast to be posted. This week, the homily is given by Monsignor J. Robert Romero. So, take a listen and let us know what you think. Click here to download The Third Sunday in Ordinary Time homily from St. Landry Catholic Church, Opelousas, Louisiana. Jesus, his parents and grandparents lived in the small town of Nazareth that had a population of about 400 people and would have fit inside the physical boundaries of an average sized parish. In the synagogue at Nazareth, after reading a passage from Isaiah, Jesus declared, “Today this passage is fulfilled in your hearing … The Spirit of the Lord is upon me because he has anointed me to bring glad tidings to the poor. He has sent me to proclaim liberty to captives and recovery of sight to the blind, to let the oppressed go free and to proclaim a year acceptable to the Lord.” How would you react if someone you know in your parish stood up and said that? Now imagine the speaker says to you, “The Spirit of the Lord is upon you…” and you have been sent to do all of those things. As a result of our Baptism and Confirmation, the Spirit is upon us and we have an obligation to do all those things—and more. They read from the book of the Law and understood what was read. "Your words, Lord, are Spirit and life." Today the Scripture passage is fulfilled. Jesus is the one sent by God to save us. Today we hear about the unrolling of two scrolls. For the Israelites, the scroll that contained the Law of the Lord was unrolled and read. The people bowed down in sadness as they came to realize that they had not lived lives in accordance with God’s law. In today’s Gospel, Jesus opens the scroll of the prophet Isaiah, announcing that its prophecy has been fulfilled in him. As the sacred word is proclaimed today—as our scroll that is our scripture is unrolled—let us welcome words that call us to greater union with Christ Jesus. Jesus is present to each of us in a different way. Was there ever a time that you knew Jesus was with you? What are some situations or places where you wish that Jesus was more visible? Jesus came to bring glad tidings to the poor and set free the enslaved. How has this mission of Christ in the world affected you personally? During this Year of the Priest, there have been a lot of prayers asking for young men to answer the call. Today, Grant Desme, a 23 year old young man from Bakersfield, California and one of the top baseball prospects for Major League Baseball, has retired from professional baseball to enter the seminary. 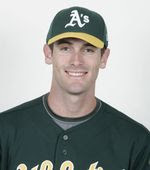 He was the MVP in the AFL as a player in the Oakland A's farm system, a home run hitting outfielder. It's making for a large stir in the sports world today with headlines such as, "Top Prospect gives up Baseball for Priesthood" and "A's lose prospect to Higher League". 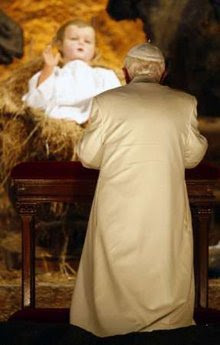 But it is another sign that this Year of the Priest is producing great fruits. 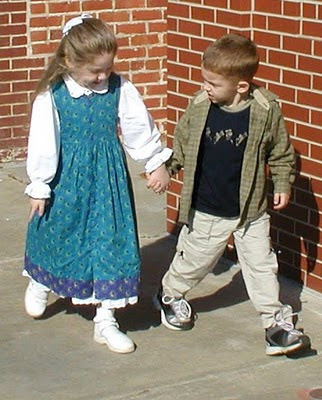 The bulletin for the weekend of January 24, 2010 has been posted. Click here to see it. January 22, 2010 marks the 37th year we have allowed God’s innocent unborn children to be legally destroyed by abortion in our country. St. Landry Right to Life invites you to show support and respect for ALL life, born and unborn, elderly, or handicapped. Come join our 23rd. Annual Walk for Life on Saturday, January 23rd, 2010 @10:00am at Our Lady Queen of Angels Church. All faiths and groups are invited and encouraged to participate in the Walk for Life. Bring the Family and Take A Stand for Life!!! Actually, St. Landry Catholic Church has been on Facebook for a few months and we already have over 30 friends! If you are active on Facebook, "Friend" us and you can stay up to date on events, news, and website updates. The year 2010 is the hundredth anniversary of the 1910 World Mission Conference in Edinburgh, Scotland. This conference marked the beginnings of the modern ecumenical movement. At the 1910 conference chapter 24 of St. Luke’s gospel was read. To mark the centenary of the conference in this year’s, material jointly prepared and published by The Pontifical Council for Christian Unity and The Commission on Faith and Order of the World Council of Churches, suggest we use biblical passages from chapter 24 of St. Luke’s gospel as prayer during the week. Please start these prayers tomorrow, January 18, 2010. Take us from where we are, to where you want us to be make us not merely guardians of a heritage but living signs of your coming Kingdom, fire us with passion for justice and peace between all people, fill us with that faith, hope and love which embody the Gospel, and through the power of the Holy Spirit make us one. That the world may believe, that your name may be enthroned in our nation, that your church may more effectively be your body, we commit ourselves to love you, serve you, and follow you as pilgrims not strangers. At the Annunciation she concludes by saying, “May it be done unto me according to your word.” Luke 1:34, 38. Mary’s last words in the Bible are at the wedding feast at Cana. She says to Jesus, “They have no more wine”; then to the servants, “Do whatever he tells you!” John 2:3, 5. Mary is a woman of few words, [a total of 175 words recorded in the Bible]. But what powerful words they are! From “May it be done unto me according to your word,” to “Do whatever He tells you!” she gives us a model of faith, courage and openness to the will of God. She challenges us to listen to Jesus in prayer and to do whatever He tells us, to become all that God created us to be. 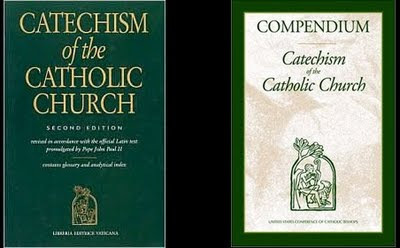 During the homily, Monsignor Romero referenced paragraphs 79 and 80 in the Compendium. These are in "The Profession of Faith", Section II, "The Profession of Christian Faith", Chapter 2, "I believe in Jesus Christ, the only son of God". It is the proclamation of Jesus Christ, the “Son of the living God” (Matthew 16:16), who died and rose from the dead. In the time of King Herod and the Emperor Caesar Augustus, God fulfilled the promises that he made to Abraham and his descendants. He sent “his Son, born of a woman, born under the law, to redeem those who were under the law, so that we might receive adoption as sons” (Galatians 4:4-5). The current week's homily is available on a link on the front page of the website next to the link for the current week's bulletin. On the page with the prior bulletins, the corresponding homily will be sitting side by side with its bulletin. We started on the anniversary of the start of the Catholic Church, Pentecost Sunday. This week, The Second Sunday in Ordinary Time, is our forty first podcast to be posted. This week, the homily is given by Monsignor J. Robert Romero. So, take a listen and let us know what you think. Click here to download The Second Sunday in Ordinary Time homily from St. Landry Catholic Church, Opelousas, Louisiana. About 2 months ago, I first posted an entry on the Crux Vaticana. But what is new today is a video with more detail about this great treasure at the Vatican from Rome Reports. See the video at the end of this posting. The Crux Vaticana has been restored and will soon be displayed. 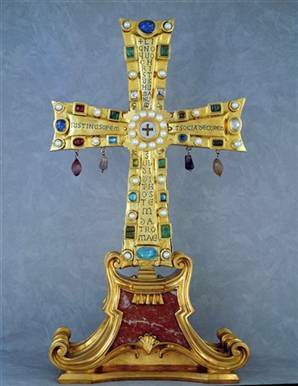 It is a reliquary containing fragments of the True Cross and was given to the people of Rome by Byzantine Emperor Justin II over 1500 years ago. It's considered to be the oldest reliquary of the cross. It's approximately a foot high and has been used in masses and ceremonies around Easter and Christmas. An anonymous donor funded the restoration. It will be publicly displayed within St. Peter's Basilica starting on April 12. More info at the AP article can be found by clicking here. All shall behold your vindication. "Proclaim his marvelous deeds to all the nations." The Spirit distributes gifts to each person. Jesus transforms water into wine. Grace is God's free gift to us. The three Gospel stories the Church celebrates as “epiphanies” are the visit of the magi to the newborn Jesus, the baptism of Jesus in the Jordan, and the wedding feast at Cana. As we gather around the Lord at that wedding feast, let us pray that we will be transformed more and more into the image of Christ, manifesting his presence to those we meet. What is the one special gift that God has given to you to share with your friends and classmates? Jesus got his start in ministry through the urging of his mother. Who urges you to pray, to go to Church, and do good works? God fills each of us with grace (miracles) and gifts. What is one grace (miracle) or gift that you have shared with your family? The bulletin for the weekend of January 17, 2010 has been posted. Click here to see it. Being a pastor is in itself a spiritual act…. This means that he himself lives first of all on the Word of God. Pope Benedict XVI’s meeting with clergy of the Diocese of Rome. 22 February 2007. During the homily, Monsignor Romero referenced paragraph 105 in the Compendium. 105. Why did Jesus receive from John the “baptism of repentance for the forgiveness of sins” (Luke 3:3)? To inaugurate his public life and to anticipate the “Baptism” of his death, he who was without sin accepted to be numbered among sinners. He was “the Lamb of God who takes away the sin of the world” (John 1:29). The Father proclaimed him to be “his beloved Son” (Matthew 3:17) and the Spirit descended upon him. The baptism of Jesus is a prefiguring of our baptism. The current week's homily is available on a link on the front page of the website next to the link for the current week's bulletin. On the page with the prior bulletins, the corresponding homily will be sitting side by side with its bulletin. We started on the anniversary of the start of the Catholic Church, Pentecost Sunday. This week, The Baptism of the Lord, is our fortieth podcast to be posted. This week, the homily is given by Monsignor J. Robert Romero. So, take a listen and let us know what you think. Click here to download The Baptism of the Lord homily from St. Landry Catholic Church, Opelousas, Louisiana. 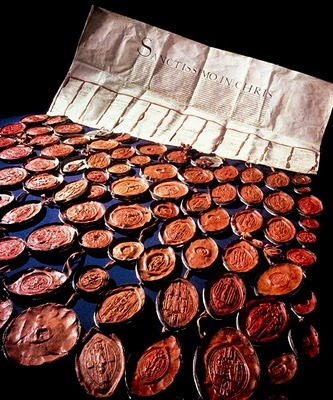 Pictured above, Address of the Peers of England to Pope Clement VII asking for the Annulment of King Henry VIII’s Marriage, 1530 July 13th. Includes many seals of each peer. There is a new book being released by Belgian publisher VdH called "The Vatican Secret Archives". It includes great detail of 105 documents, 19 of which have never been published before. A 13th-century letter from the grandson of Ghengis Khan to Pope Innocent IV includes, in its seal, one of the earliest examples of written Mongolian. In the letter, the Mongol emperor orders the pope to "pay service and homage to us". A 1493 bull of Pope Alexander VI grants Spain's King Ferdinand and Queen Isabella dominion over the New World discovered by Columbus the previous year. A 1550 letter from Michelangelo complains that a long papal conclave has interrupted his work on the dome of St. Peter's Basilica, and he needs money. An 1887 letter from Canadian Indians to Pope Leo XIII is written on birch bark. It addresses the pope as the "Great Master of Prayer, he who holds the place of Jesus." The archives have been open to any scholar since the 1880's. The use of the word "Secret" in the name of the archives means "Personal" or "Private". I wanted to highlight the painting in the previous post a little more. Clicking on it will pull up a much larger version. The painting was made by Verrochio in 1475 with an assist from his apprentice, the young Leonardo Da Vinci. The angel down on the lower left is the one painted by Leonardo along with some of the background. The angel on the right may have been painted by Botticelli. It was commissioned by the monastery church of San Salvi in Florence. 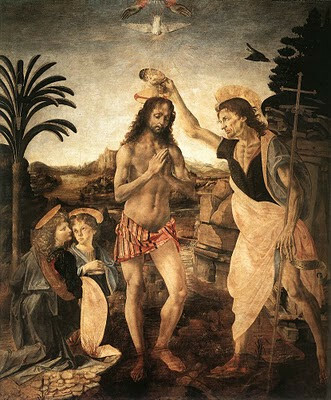 In the painting, John the Baptist pours water over the head of Christ as they stand in the Jordan River. Above you see the extended hands of God the Father, rays of light, and the Holy Spirit represented by a dove. The angels hold the garments of Christ off to the left. John the Baptist holds a staff with a cross. A ribbon around that staff reads, "Ecce Agnius" in Latin or "Behold, the Lamb". All represented in the painting have halos. Christ's halo includes a cross within it. It's nearly 6 feet tall and 5 feet wide, painted on wood in oil. Those are the words that a voice from heaven spoke after Jesus convinced John to baptize him in the Jordan River. We may not be standing in the Jordan River with John the Baptist pouring water over us, but we, who are baptized Catholics, are “children of God”. To the extent that we are doing our best to be all that God created us to be, to identify, accept, develop, and use all of the talents, abilities, and gifts that God has given to us for ourselves and for others, we can be sure that God is well pleased with us. We who are graced with sanctifying grace through the waters of baptism should make efforts to strengthen our life in God, as we are children of God. I point out three virtues that are helpful. These are empathy, compassion, and holding our tongue. Empathy is seeing the world through other people’s eyes. Understanding each other helps us work at common causes. Let us try to engage with people different from ourselves and listen. Whether we are conservative or liberal, white or black, Christian or Muslim, let us try to ask questions and then listen. Compassion is sympathy for the suffering of others, often including a desire to help. Practicing compassion has an effect of creating happiness in others and self. Behavior begets habit. Habit begets character. Before we know it, we are a compassionate person. Holding our tongue is a product of self-control. The Letter of St. James says, “Consider how a small fire can set a huge forest ablaze. … For every kind of beast and bird, of reptile and sea creature, can be tamed and has been tamed by the human species, but no human being can tame the tongue. It is a restless evil, full of deadly poison” (James 3:5b, 7-8). Speak no harm. When tempted to do otherwise, count to twenty, or pray the Our Father Prayer or Hail Mary Prayer before speaking. Say good things about one another and others. These three virtues – empathy, compassion, and holding our tongue – help us as a person to love God and neighbor. They help us live our life as a child of God. If enough people are able to do so, then our city, state, nation, and world will become more human, more respectful, more loving. [Ideas for “Making efforts to be better as a child of God” came from an article in USA TODAY: Monday, December 28, 2009, 13A. “The Forum: It’s time to look inward” by Oliver Thomas. To read that article, you can click here]. Pope Benedict's general prayer intention for January is: "That young people may learn to use modern means of social communication for their personal growth and to better prepare themselves to serve society". His mission intention is: "That every believer in Christ may be conscious that unity among all Christians is a condition for more effective proclamation of the Gospel". God's glory shall be revealed. "O bless the Lord, my soul." We are saved through the bath of rebirth. "You are my beloved Son." Baptism gives us new life. Today’s readings bring the Christmas season full circle. The passage from Isaiah is usually heard during Advent. In this reading, we hear words that will later be echoed by John the Baptist, who appears in today’s Gospel reading. As we listen to the Scriptures today, let us rejoice in the fact that through our own baptism, we are called God’s “beloved”. Why does Baptism make you special? You were baptized as a member of the Christian community. What does it mean to you to belong to this community? How is it a support in your life? What meaning does your Baptism have for your everyday life? The bulletin for the weekend of January 10, 2010 has been posted. Click here to see it. 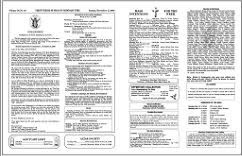 During the homily, Monsignor Romero referenced paragraph 101 in the Compendium. The entire life of Christ is a revelation. What was visible in the earthly life of Jesus leads us to the invisible mystery of his divine sonship: “whoever has seen me has seen the Father” (John 14:9). Furthermore, even though salvation comes completely from the cross and the resurrection, the entire life of Christ is a mystery of redemption because everything that Jesus did, said, and suffered had for its aim the salvation of fallen human beings and the restoration of their vocation as children of God. The current week's homily is available on a link on the front page of the website next to the link for the current week's bulletin. On the page with the prior bulletins, the corresponding homily will be sitting side by side with its bulletin. We started on the anniversary of the start of the Catholic Church, Pentecost Sunday. This week, Epiphany of the Lord, is our thirty ninth podcast to be posted. This week, the homily is given by Monsignor J. Robert Romero. So, take a listen and let us know what you think. Click here to download the Epiphany of the Lord homily from St. Landry Catholic Church, Opelousas, Louisiana. The glory of the Lord shines on all people. "Lord, every nation on earth will adore you." The Gentiles are coheirs of the promise. The magi come with gifts of gold, frankincense, and myrrh. Even in the darkness of war and terrorism, today’s scriptures shine forth as a beacon of light and peace. As these holy words are proclaimed, let us ask God to shine the light of peace upon lands and people who daily live in fear. Christ is the light of our lives. How does he show you the way to live? As the eyes of your heart become enlightened to Christ and his teachings, how does it change the way you live? As children of God, we are called to be light, just as Christ was. Name one way you let your own light shine. During the homily, Monsignor Romero referenced paragraphs 196 and 197 in the Compendium from, “Mary, Mother of Christ, Mother of the Church”. 196. In what sense is the Blessed Virgin Mary the Mother of the Church? The Blessed Virgin Mary is the Mother of the Church in the order of grace because she gave birth to Jesus, the Son of God, the Head of the body which is the Church. When he was dying on the cross Jesus gave his mother to his disciple with the words, “Behold your mother” (John 19:27). 197. How does the Virgin Mary help the Church? After the Ascension of her Son, the Virgin Mary aided the beginnings of the Church with her prayers. Even after her Assumption into heaven, she continues to intercede for her children, to be a model of faith and charity for all, and to exercise over them a salutary influence deriving from the superabundant merits of Christ. The faithful see in Mary an image and an anticipation of the resurrection that awaits them and they invoke her as advocate, helper, benefactress and mediatrix. The current week's homily is available on a link on the front page of the website next to the link for the current week's bulletin. On the page with the prior bulletins, the corresponding homily will be sitting side by side with its bulletin. We started on the anniversary of the start of the Catholic Church, Pentecost Sunday. This week, Solemnity of Mary Mother of God, is our thirty eighth podcast to be posted. This week, the homily is given by Monsignor J. Robert Romero. So, take a listen and let us know what you think. Click here to download the Solemnity of Mary, Mother of God homily from St. Landry Catholic Church, Opelousas, Louisiana.